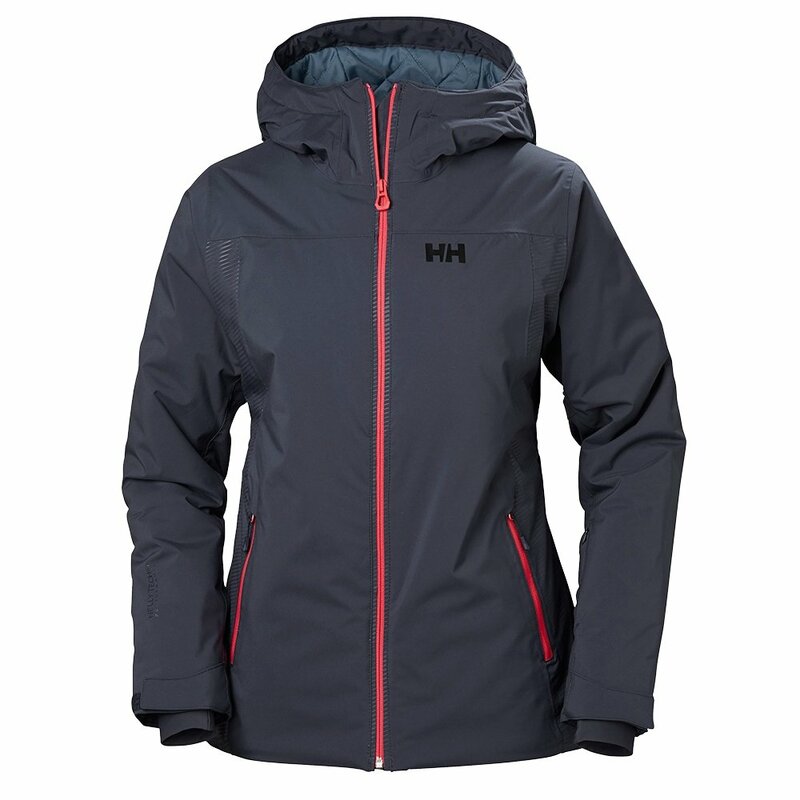 The Helly Hansen Sunvalley Insulated Ski Jacket is designed for ladies who show up at 7 AM to wait in line for first chair and are always the last one off the slopes. You’ll stay warm and toasty even when the winds are whipping, thanks to the PrimaLoft® Black ECO Insulation - 100g in the body for warmth, and a lighter 80g in the sleeves to preserve a full range of motion. This warm women’s ski jacket makes use of Helly Tech™ technology with a Performance rating, designed for resort skiers in variable and changing winter weather. Even if you get caught in an unexpected storm, don’t worry - just pull out the Sunvalley Jacket’s packable hood and rest assured that your taped seams and DWR-coated fabric will keep your layers dry and cozy all day. An always-on Recco® system helps others find you on the mountain if needed. This jacket features three layers of waterproof, breathable fabric with 100g of heavy-duty insulation inside. The detachable hood is designed to fold up and pack into the collar when not needed.